Another addition to the ongoing trend of documentaries about unknown and under appreciated musicians getting their due. In recent years, there’s been a trend of documentary films I like to call “musical discoveries.” My guess is that it started around 2008 with Anvil! The Story of Anvil, a documentary about an unknown Canadian rock band that influenced the likes of Metallica. Since then, other documentaries have come out shining a light on some sort of incredible musician(s) not getting the fame and popularity they deserve. The breakthrough film for this would be Searching for Sugar Man, which won the Oscar for Best Documentary in 2013. One year later, 20 Feet from Stardom, a musical discovery doc more audacious than Sugar Man (this time, the discovery was under our nose the whole time!) took home an Oscar in the same category. Other films, like A Band Called Death, Riot on the Dance Floor, and The Wrecking Crew have all used similar concepts. That brings me to The Jones Family Will Make a Way, the next documentary to capitalize on this recent movement. This time the act yet to be discovered is The Jones Family Singers, a gospel group from rural Texas. 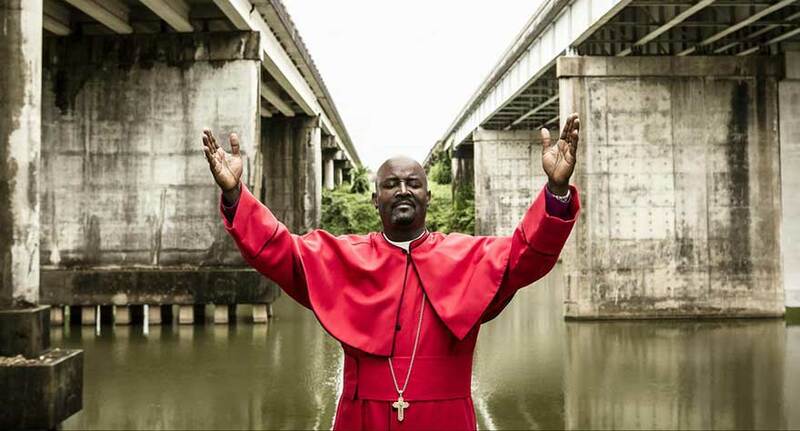 The father, Bishop Fred Jones, is a preacher with a wife and eight children, all of whom have some role in the group. Years earlier, they had a shot at fame after touring across the south at Pentecostal churches, but after a recording contract fell through they gave up any dreams of making it big. Now, Austin music critic Michael Corcoran wants to try and give them the success they deserve. After discovering the group for himself and befriending them, he eventually convinces Jones and his family to perform at the SXSW music festival. This beginning section of the documentary amounts to the kind of boilerplate material seen in other discovery documentaries. The only major difference comes from watching the Jones family perform together. Their performances in a tiny church blow the roof off every time, with their music a living reminder of how much soul and rock music gets its roots from gospel. Live footage gets sandwiched between the sort of overdone, obvious points hammered home in the earlier-mentioned films: sadness over not getting discovered, some sort of expert (in this case, Corcoran) explaining exactly why these musicians are so great, backstories on the group’s members to show their humble lifestyles, among other basic establishing techniques. Anyone familiar with this kind of story knows it’s only a matter of time before the Jones family gets their shot. That shot ends up happening almost a year after their SXSW performance, when a producer offers to record an album for them. Once director Alan Berg starts dedicating things to the recording process, his film picks up considerably. Early on, Corcoran talks about how disappointing it is that there are no proper recordings of The Jones Family Singers. Now, with the family getting their shot at making an album, Berg profiles the difficulty in translating their power from the church to the studio. It’s a difficult process, with the producer’s tactics clashing against the way the Jones are used to performing. Those kinds of moments, where Berg speaks more about the challenge of capturing a specific experience, are where the film shines. But once the album is finished, Berg switches back into making his film about the Jones’ getting their due, a disappointing and conventional choice. There are a few moments where Berg manages to slip in a few interesting bits, like when Corcoran tries giving advice to Bishop Jones about the album release. He asks them if they want to bless some of their albums or do “some kind of water thing” for fans, despite telling them moments earlier to downplay their religion. It’s a moment showing the reality of how artists get pressured to compromise themselves in the hopes of broadening their appeal, but Berg doesn’t seem too interested in exploring that. Instead, he closes the film with the family’s triumphant performance at the Lincoln Center, a happy ending meant to show the Jones’ getting closer to achieving their dreams. The Jones Family Singers certainly deserve all the success they can get; they also deserve a better film. Two early twenties friends spend one last week together before their duo is to split.